Very private 35 acres with a good water well in a gated community. The driveway is stubbed in to an excavated building site. 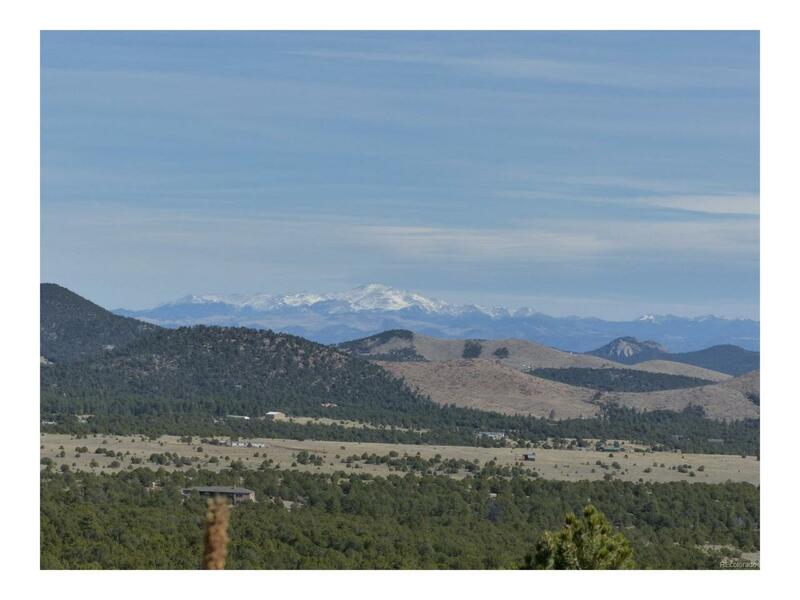 Fabulous views of Pikes Peak and the Wet Mountains. The property is heavily wooded and secluded at the nice building site. Great year round access via maintained subdivision roads. Power and phone are available in the road. At night you can see millions of stars as we live in a "dark skies" community to preserve our night scenery! The wildlife love this area, so be prepared to see many kinds of "friends" visiting your land.